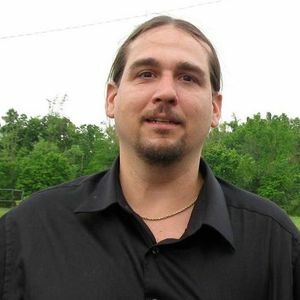 DRAKESBORO - Rusty Lee Martin, 36, of Drakesboro, died Wednesday, May 22, 2013 at his home. Mr. Martin was born October 29, 1976 in Muhlenberg County. He was a laborer at TVA and of the Baptist faith. Survivors include his son, Derek Lee Martin of Drakesboro; parents Anthony Martin and Anne Martin, both of Drakesboro; sisters Julie (Gary) Underwood of Greenville, Angela (Randy) Hutchings of Bremen, and Jenny Martin of Drakesboro; special friends Ricky & Cheryl McKinney; nephews Cody Schroader and Logan Knight; and nieces Whitney Barber, Kayla Underwood, and Breanna Barber. Funeral services will be Sunday, May 26, 2013 at 2:00PM at Tucker Beechmont Funeral Home with Rev. Bobby Allen officiating, assisted by Rev. Tim Camplin. Burial in Wyatts Chapel Cemetery. Visitation will be Saturday after 5:00PM at the funeral home. 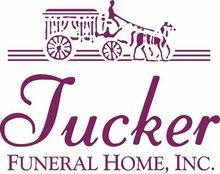 Online condolences may be made at www.tuckerfunealhomes.com. The beautiful and interactive Eternal Tribute tells Rusty's life story the way it deserves to be told in words, pictures and video. Uncle Rusty, theres not a day that goes by that you dont cross my mind. Its still not real to me that your never coming back on Earth. I wish that I could have just seen you one last time to tell you Good Bye and that I Love You. You may not be with us but your memories sure are, we all Love and Miss you so much. 'ILL SEE YOU WHEN I SEE YOU' I will never tell you good bye, because ill see you again someday. LOVE you very much. I will always remember the great times we had!!! I miss I always!! I have so many wonderful memories of Rusty, most of them include Moon. They used to pick at each other and Moon always called Rusty "ignorant" as a joke. He called everybody that some time or other but Rusty more than anyone. He would say let's go ignorant. Hey ignorant come here. Ignorant get me something to drink. And Rusty would do whatever he said. Rusty was with Moon when he passed and I believe that Moon was there with Rusty to. I love you Rusty. R.I.P.